When you have Raynaud’s syndrome, the two areas you struggle to keep warm are your hands and feet. Unfortunately, those are the same areas folks without Raynaud’s struggle to keep warm during cold weather. This double whammy is why it was so hard for me to take the plunge and start Cold Outdoorsman. But I’m finding ways to overcome the cold. 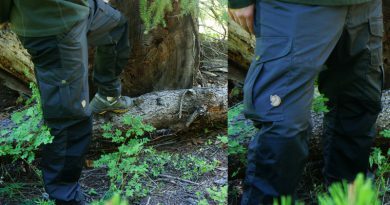 Some of it’s diet-related, and some is strategic, but a lot has to do with the clothing and gear you use. Like the Outdoor Research Oberland heated gloves, for instance. Using heated gloves sounds extreme to a lot of people. 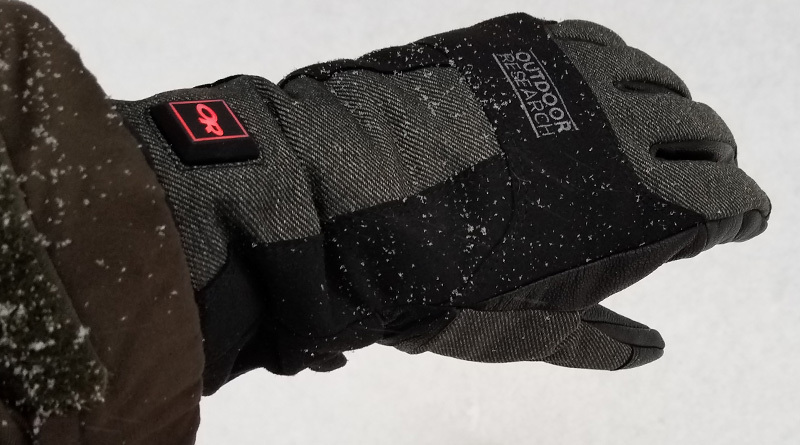 In fact, before Outdoor Research sent the Oberland heated gloves for review, I fielded a comment about heated gloves seeming “a bit much” to take out hiking. Why not just use the Mute Sensor gloves, which I reviewed last winter and really liked? Quite simply, some conditions are just too cold for the Mute Sensors, at least when your hands get as cold as mine. So I was quite keen to try the Oberlands, which are brand new for Winter 2016/17. I didn’t realize it before conducting my review, but OR actually has a history with heated gloves. That’s nice on a couple of levels. First, it means the company isn’t just kicking the tires or testing the waters; they’ve traveled this path before and are looking to make improvements on a tested formula. Second, it means the Outdoor Research Oberland heated gloves are the next step in their heated glove line, which means more-effective finger warming for someone like me who gets really cold hands. That evolution was most evident in the heating filaments going all the way down the fingertips. I’ve tried a few heated gloves and liners and been disappointed by the warmth only sticking to the back of the hand. I completely understand that area is the biggest part of the hand, but it’s not the one that gets most painful when cold. That dubious honor falls to my 10 digits, all of which I’d like to keep from freezing as long as possible. With filaments running all the way down the length of each finger, the Outdoor Research Oberland heated gloves let me do just that. The gloves have three different heat settings (High, Medium, Low), with battery life varying based on the temperature used. In my tests, the High setting lasted about three to four hours, with Low lasting about twice that long. Going from a complete battery drain to full charge took me about seven hours, which is a long time if you’re hoping to recharge quickly and get back outdoors. For instance, if you go up at 9am, keep the gloves on High until lunch at 1pm, you’re not really going to be able to use the batteries again until the next day. Unless you have a backup set, of course. Now in all fairness, that battery life is standard for heated gloves, so you can’t knock Outdoor Research for that performance. But it would be nice to see some quick-charge battery technology applied to the heated gloves space. Powering-up the Oberland heated gloves is a great feeling. And by that, I mean you feel the heat within three seconds. You turn them on by holding down the square power button for two seconds. Powering them down is the same process. In between, you simply click the button one time to navigate between the different heat settings. The settings really do vary, too; High is considerably warmer than Low. I actually found them most effective with my fingers by starting on High for a minute or two, then either turning them down to Low or turning them off completely until my fingers started to feel chilly again. This had the added benefit of preserving battery life. I will note that the Outdoor Research Oberland heated gloves aren’t quite as warm without power as the Mute Sensors. This is probably because Outdoor Research figured people would use the heating element and not need the extra padding. But the comparative lack of insulation is worth noting, because it required me to turn on the heat a few times when I probably wouldn’t have if they had more padding. Again, it’s not a deal-breaker, but it rubbed some proverbial salt into the battery-recharge issue. Like the Mute Sensors, the Oberland heated gloves have goat-leather palms and work perfectly with touchscreen devices. The touchscreen capability was a big deal for me. If I’m outside in the cold, why would I want to take my gloves off and freeze my hands just to answer a call, take a picture or send a text? If the whole point is to keep my hands and fingers warm at all times, then taking them off while outside defies logic. My last observation might really only be noted by people who have Raynaud’s like I do. 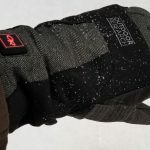 Most folks are going to use the Outdoor Research Oberland heated gloves in the snow. I did that too, of course. But I also wore them when it was cold and rainy, which is a condition I encounter often in the Pacific Northwest. When you’re just dealing with snow melt, the water resistance of these gloves is just fine, because there isn’t much water. When you’re dealing with a downpour, it’s a different story. My hands never got moist, but the gloves got rather wet, and I was concerned about shorting the wires. Again, it never happened, but if there’s a way for future models to be waterproof rather than just resistant, that would help my mental state and make these more practical of using these in cold PNW downpours. But don’t think that their water-resistance, less padding than the Mute Sensors and battery recharge times keep me from recommending the Outdoor Research Oberland heated gloves. I absolutely love that the filaments go all the way down the fingers, and their response time to turning them on is remarkable. With a few tweaks for 2017/18, maybe even adding a heater to the palms, and these could be the perfect three-season glove. 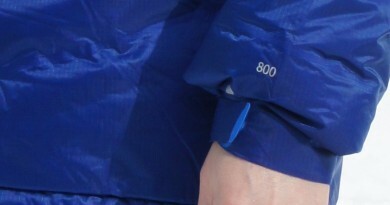 The Outdoor Research Oberland heated gloves were provided for review. All opinions and words are my own and honest, and the article above contains no affiliate links. Hi – I really enjoy your site and the details of your reviews. I have chemotherapy-induced neuropathy, which similar to Raynaud’s, makes my fingertips and toes very cold so I’m always looking for products to help with winter cycling, skiing and just being outside in winter. I ordered these on Amazon and am returning them, so just wanted to clarify a point in your review. I confirmed this information with Outdoor Research. The gloves provide great warmth, but the warmth in the finger areas only covers the back of the fingers up through the fingernail. There is no heating element at the fingertip and on the inside of the fingers. To get this feature, you would have to move up to the Capstone heated gloves which are considerably more expensive. Thanks for the info, Michael. When I felt heat in the fingertip, it must have been a radiating effect from the element that goes up to the fingernail. I appreciate the clarification you’ve offered here, so others can share the news. Sorry the gloves didn’t work out quite as planned for you. I still love them, myself.